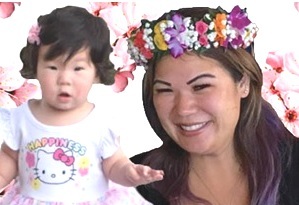 SOPHIA GRACE HITOMI WHARTON Connie 33 and Sophia 9 months, of Honolulu passed away on October 17, 2018. Both Connie and Sophia were born in Honolulu. Connie worked as a Counselor in the Family Treatment Center at the Queens Medical Center. They are both survived by husband/father, Nathan; parents/grandparents, Glen and Sandy Moribe; brothers/uncles, Matthew Moribe and Jonathan Moribe; paternal grandparent/great grandparent, Ray Moribe; maternal grandparent/great grandparent, Amy Chong and great grandparent, Beryle Matsumura. Visitation from 9:00 am and Funeral Service to begin at 10:30 am on Saturday, November 17, 2018 at Saint Andrew's Cathedral, 229 Queen Emma Square, Honolulu. Private burial.